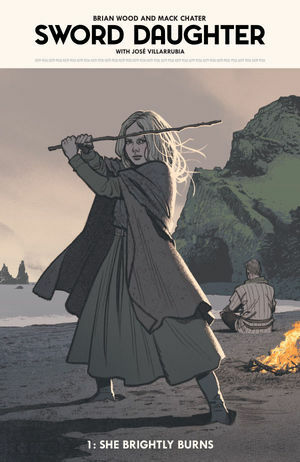 One thousand years ago, a murderous clan known as the Forty Swords burned a village to the ground, leaving just two people alive: a shattered father and his teenage daughter. Setting off on a revenge quest across of Viking Age Europe, they find the key to repairing their damaged relationship lies in the swords they carry. Art by Mack Chater, Jose Villarrubia, and Greg Smallwood. Published by Dark Horse Comics. If you aren't watching #BoschAmazon, you're missing out. My favorite show currently on TV, everything is flawless.